Snapping shrimp are amazing creatures. They use their claw to create a powerful “sonic boom” that induces a cavitation bubble that stuns their prey. This tiny bubble reaches temperatures of up to 8,000 degrees Fahrenheit and 200 decibels. These little shrimp are so amazing that they were featured on a Radiolab episode. 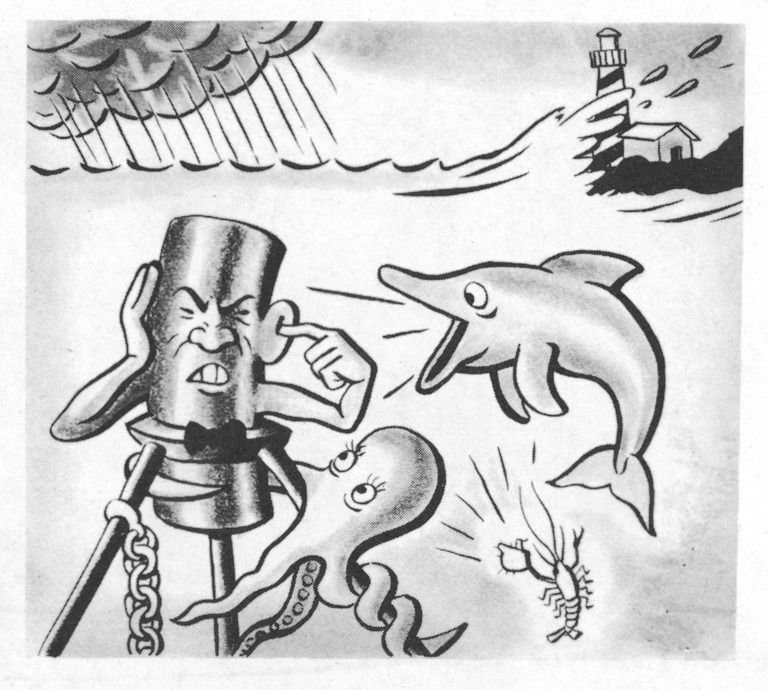 These shrimp are so loud that they create large disturbances in acoustic field which negatively effects wireless underwater communication and robotic localization; this is illustrated by a 1944 UCSD Scripps Oceanographic cartoon from the UCSD Library Digital Collection). 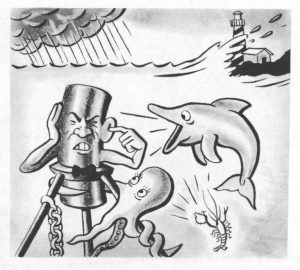 But what if we were able to utilize these snaps in a beneficial way to find the positions of a swarm of underwater vehicles? Our recent work published in IEEE Access shows how to track a swarm of underwater vehicles using passive signals present in the ocean’s ambient soundscape. We demonstrate our method using noise from these “annoying” snapping shrimp on a swarm of underwater vehicles that was deployed off of San Diego’s coast. Our results show that this works amazingly well. This video shows the results of localization using our snapping shrimp derived localization scheme and the standard, infrastructure-heavy technique of deploying fixed buoys with active acoustic pingers. The latter is one of the most common techniques for localizing underwater systems. Our method is the first step towards an infrastructure free, low power, high endurance localization technique for underwater vehicle swarms.